Anyway, to celebrate, I'm posting about this product that I have been LOVING and raving so much about since I started using it. What is this product??? 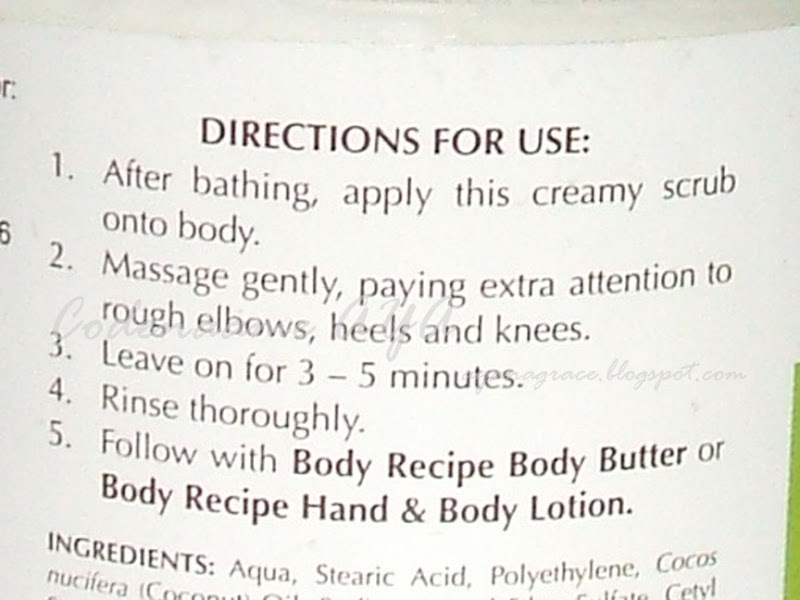 Well, it's the Body Recipe Skin Moisturizing Body Scrub, of course! I got this on sale during HBC's Great at 88 promo. I got a really good deal with this one! This 250-g tub is regularly priced at 178 PhP but during the sale it was priced at only 88 PhP. AWESOME. Body Recipe has four variants of body scrub - Pure Coco Oil, Calamansi, Milk and Papaya. I got the moisturizing one because I'm not-so-into skin lightening products anymore. And the Pure Coco Oil variant smells NICEEEEE! 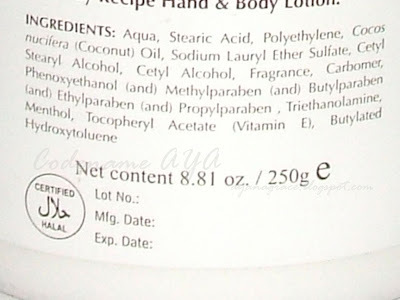 Description (from Body Recipe): Indulge your skin with Body Recipe Skin Moisturizing Body Scrub Pure Coco Oil that has scrub beads and coconut oil. Moisturizes and nourishes skin and buffs away dirt and dead skin cells. Use two to three times a week for smoother skin that glows. I think this is the first body scrub that I've ever used. I wasn't really a fan of body scrubs before. I did (and still do) use a facial scrub, though. Click *here* to read about my skin care routine. The product itself looks like marshmallow fluff! The scrub beads aren't obvious but trust me, they're there! The texture is a bit different from that of usual scrubs but not in a bad way. 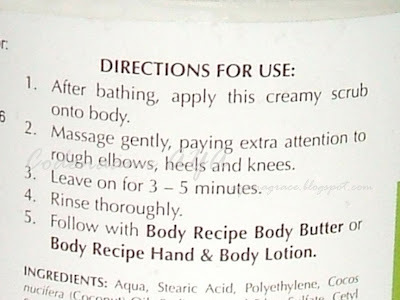 I haven't seen a lot of body scrubs, though. Why do I like this body scrub so much??? The first time I used this I immediately felt my skin become softer and smoother. That's before I even rinsed the product off. 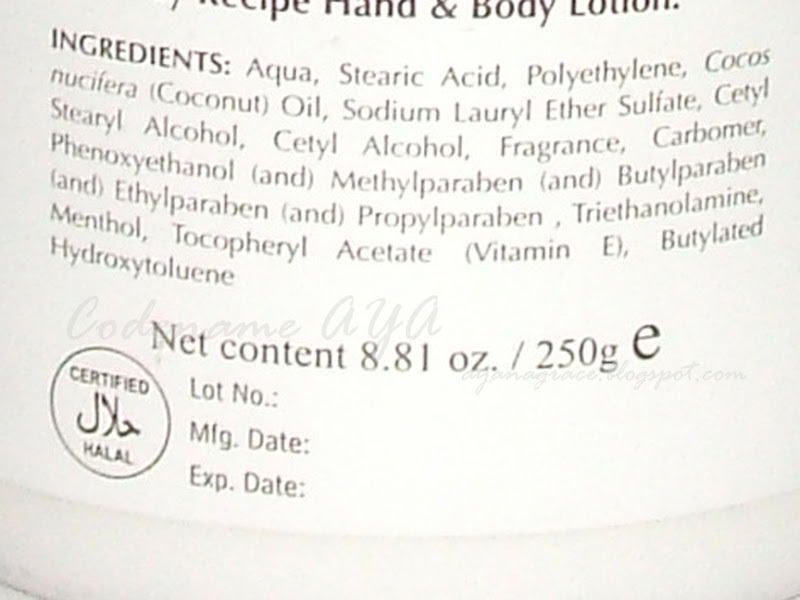 I applied Body Recipe Hand and Body Lotion after and my skin felt really really smooth and soft! From that moment, I knew I'd enjoy using this product. A little goes a long way with this product. I don't know how long it will take for me to finish this whole tub. I'm tempted to use this every time I take a bath but over-exfoliation is not good for the skin! Affordable. I got this on sale for only P88 but the regular price is P178 for 250g of product. I think Asian Secrets has a body scrub that is less expensive than this one but I haven't tried that yet. There's nothing much that I hate about this product. The smell doesn't last long on the skin, though. But that's not such a big deal for me. I'm not sure if the Body Recipe body scrubs come in smaller tubs. Smaller tubs would be really convenient for travelling and for people who want to try the product out first and see if it works for them before they purchase the big thing. I use this twice a week and apply body lotion after for that really smooth skin. This is my favorite product from HBC so far! Maybe I can give Body Recipe scrubs as gifts on Christmas? Hahaha! For more information about other HBC products, visit the following pages. Disclaimer: Product was purchased using points provided by the company but the views and opinions expressed in this post are purely mine and based on my own experience with the product. I bet mabango ang calamansi nito. I prefer a scent that doesn't last too long. Sounds heavenly! I think I need a better exfoliate...heh. Thanks for sharing this review!